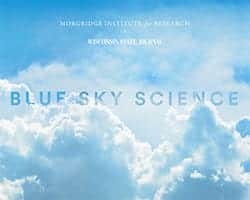 News & Stories > Blue Sky Science > How did scientists find out about electricity? How did scientists find out about electricity? More than 2,000 years ago, the Greek philosopher Thales of Miletus noted that rubbing amber with fur creates a magnetic field, or flow of electric current. Even four thousand years ago, ancient Egyptians used electric fish to treat ailments like gout and headaches. I wouldn’t consider these scientific discoveries, merely observations. In order to satisfy the scientific method, an observer would need an experiment set up, a hypothesis and a thorough analysis afterwards. The importance of this method is that others can build on that knowledge later on. When you talk about the discovery of electricity, it’s really a whole community that created that discovery. For example, in 1600, William Gilbert was the first person to coin the term electricity or electricus. Gilbert conducted an experiment similar to Thales of Miletus—he rubbed amber with fur and noticed the static electric charge on it. But unlike Thales, Gilbert noted his observations and published his results. Subsequent discoveries then built on that previous knowledge. Michael Faraday’s development of the first electric dynamo for power generation allowed people to generate electricity, specifically current, in an ongoing and practical way. This in turn allowed for the invention of Thomas Edison’s 1878 light bulb. All of these discoveries are interlinked, because each individual’s scientific contribution was more than an observation. Each scientist wrote thorough accounts of their theories and ideas, allowing a series of subsequent discoveries to occur.